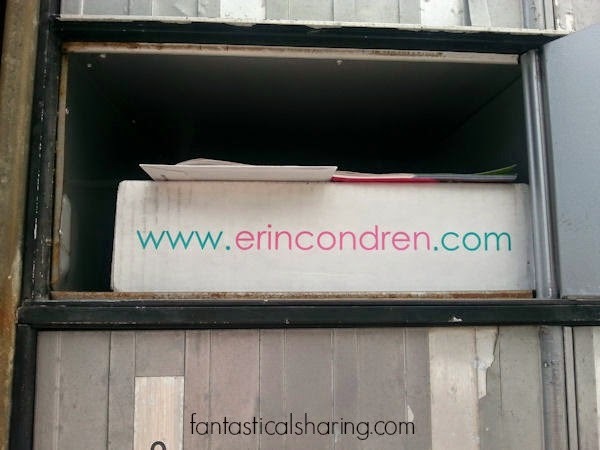 Today, I thought I would share some happy mail that got here on Monday: my new Erin Condren life planner!! *Disclosure: I was not compensated or coerced in any way to make this post about this amazing product. 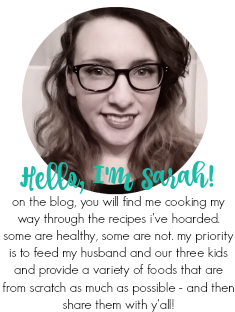 I purchased the product and am sharing my honest opinion and thoughts about it because I love it so much. 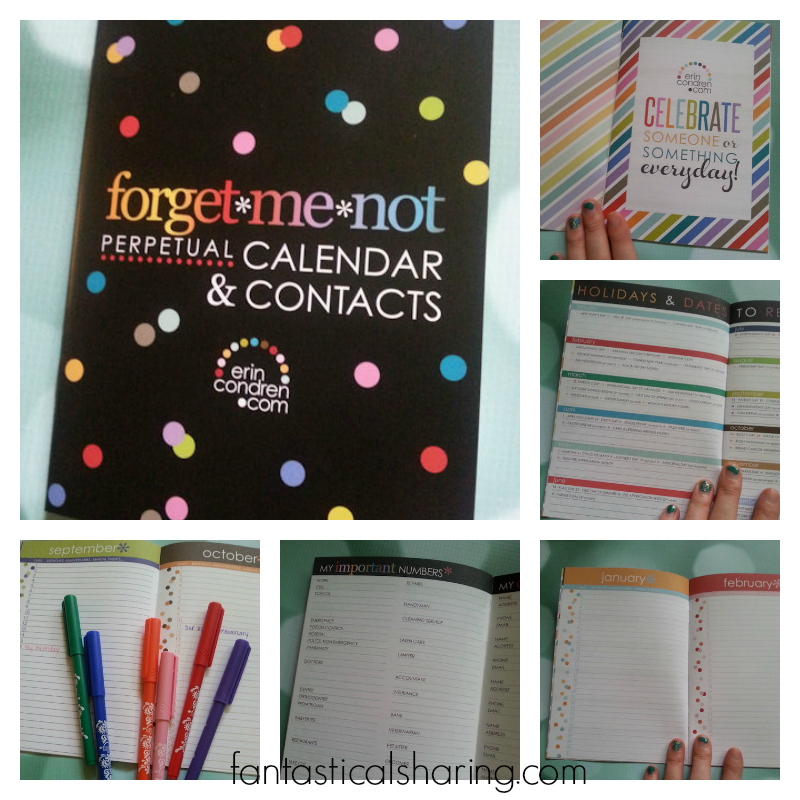 I was introduced to Erin Condren in late 2013 and decided to splurge and get one of the planners. I used a pal's referral code when I signed up, so not only did I get $10 off for signing up, she did too! 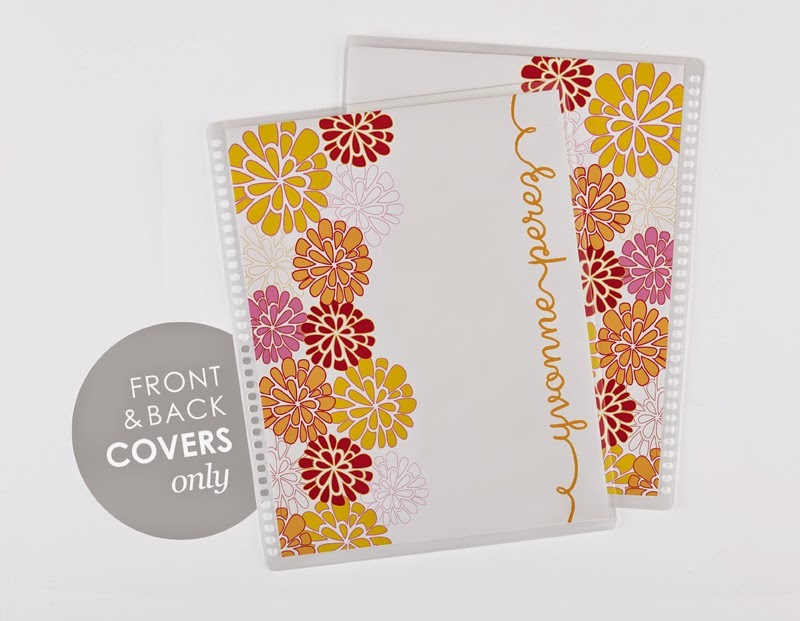 Erin Condren not only has planners, but calendars, notepads, clipboards, invitations, etc. too. They are all super colorful and super gorgeous. You can tell all of the items are very well made. I wasn't supposed to get my planner until mid-July (right around moving time, so I expected to have to wait for it to go through the forwarding process and reach me around late July)...so I was super excited when it shipped last week and then got here on Monday! When you first open up the box, you can see everything is packaged beautifully, neatly, and carefully. You get a little note from Erin & a $15 gift card. 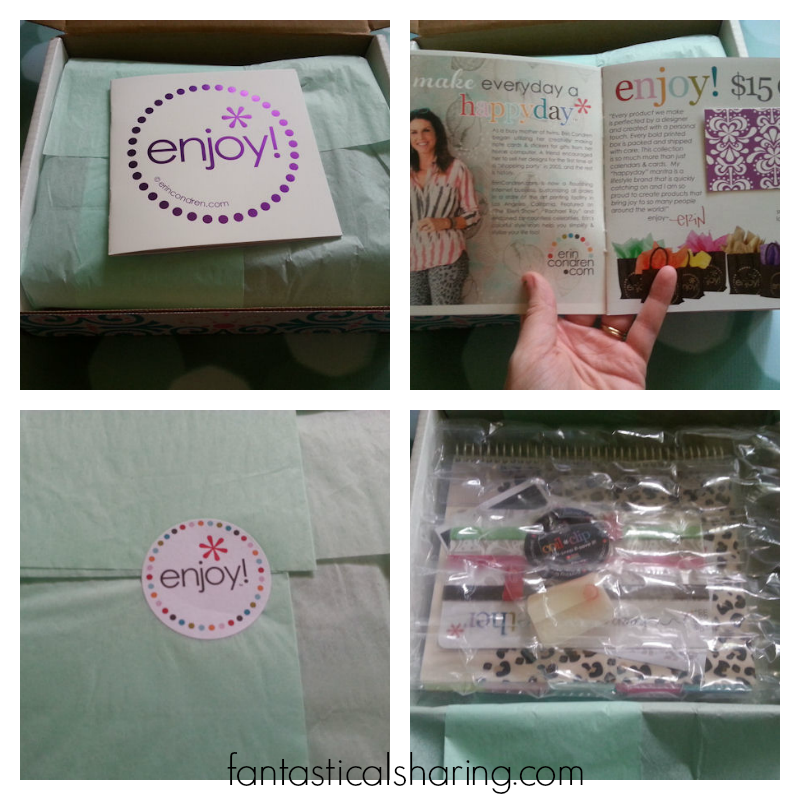 Everything is wrapped in bubble wrap, then tissue paper, and sealed with a cute "enjoy!" sticker. And here are my goodies! 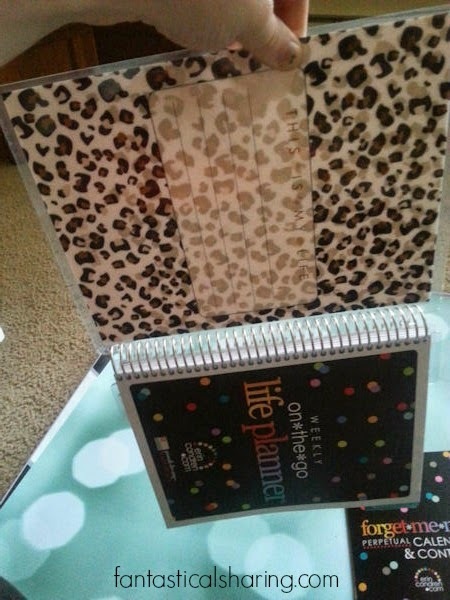 I got the 12 month life planner with cover "wild" in tan [here] - it begins in January 2015. A set of elastic bands in sorbet [here] - perfect for keeping the pages from flying all around and what not. I'm using the chocolate one right now to hold it closed. Plus a set of coil clips [here] - I'm excited to use these! You can stick them to, pretty much, whatever you want and clip them into your planner. A few extra stickers were included too :) Love extra goodies! I've been watching all the videos put out about the new planners and patiently awaiting their release on June 12th. I ordered first thing that morning! Inside the planner looks pretty similar to 2013-2014 life planner. I think it's set up in such an amazing and perfect manner, so I was happy to see not much had changed here! You still get the inspirational quotes, the year at a glance look, and 2-page spreads of the month at the beginning of each month. I personally love being able to flip to my month tab and see the whole month at a glance. After your two-page month spread, you get your weekly pages. They start on Monday (YES!) and are split up between morning, day, and night. I'm experimenting right now with changing these to not times of day, but chores/to-do, blog/school, and meal plan in my 2013-2014 life planner, but may end up going back to the original way. Something new to the weekly look is the little dots down the side there. SO CUTE! Love that extra little flair. After the year (month/week pages), there is still the notes section with lined pages and then gorgeous unlined pages, four sheets of stickers (2 pre-labeled, 2 blank), and the keep it together folder and plastic pouch. Inside the plastic pouch are some sticker labels for gift tags or whatever - I still haven't used mine from my first planner - although I keep meaning to. Another new thing this year is the perpetual calendar and contacts - GENIUS! It's a little booklet that you can use for recurring yearly events like birthdays and anniversaries and for your contacts. You can put it in your keep it together folder or attach a coil clip to it and clip it into your life planner - whatever suits you! It's really colorful and cute too. I used my EC pens that I ordered with my teacher planner last year to fill in the birthdays already. I'm planning on keeping it in my keep it together folder. 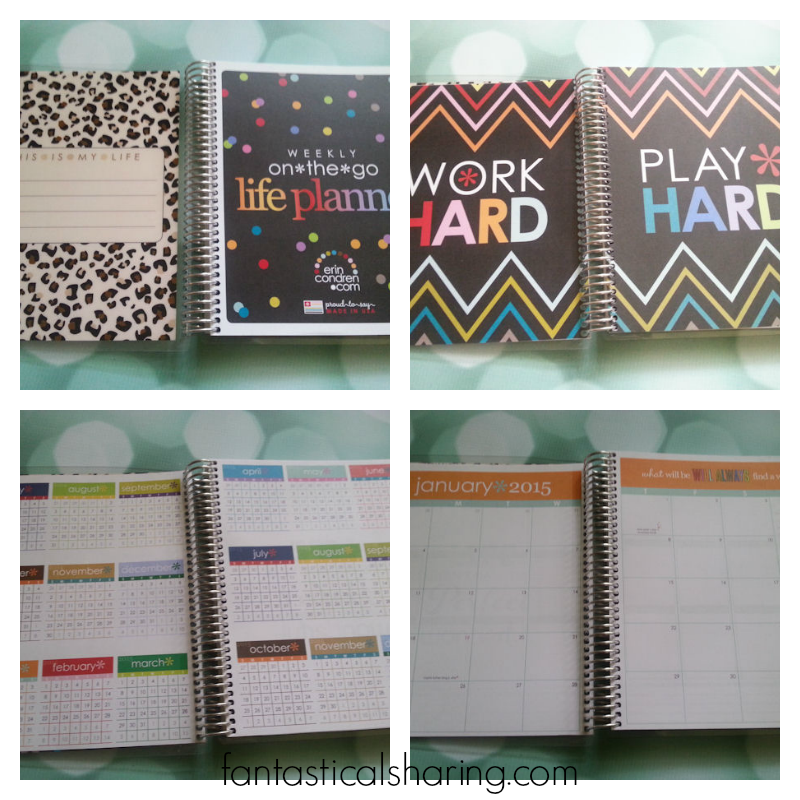 The other huge change with the Erin Condren life planners this year is the interchangeable covers. I actually ordered a second cover already. Initially, I had decided to just do this one, but then I saw a really cute cover I missed when I ordered on EC's Pinterest page. I'm getting the "dahlia" cover in teal and coral (if I remember correctly) [here]. 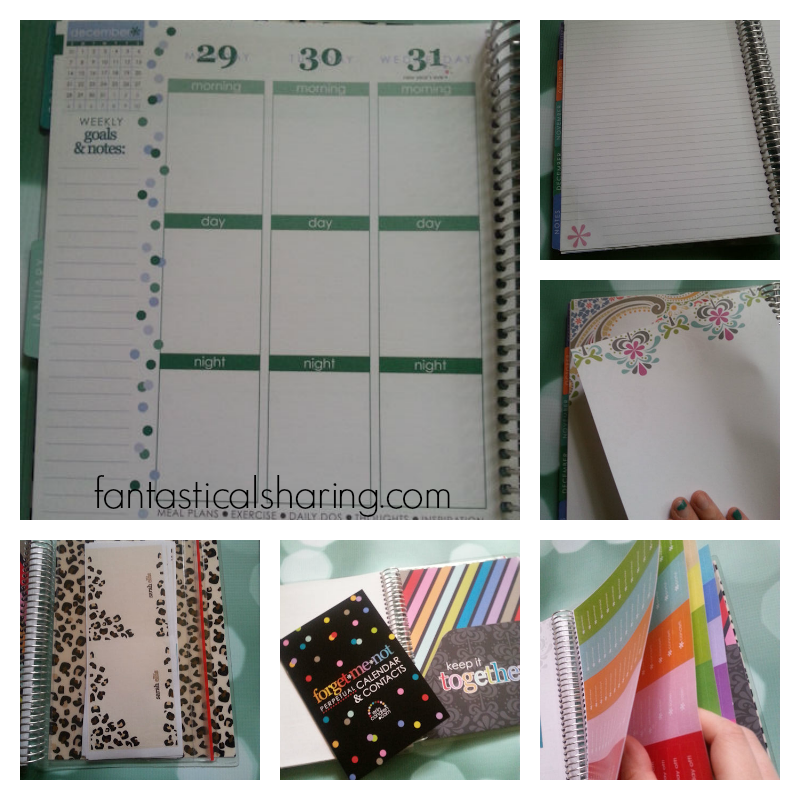 - add photo stickers, custom event stickers, matching notepads, a pen holder, marker set, designer sticker sheets, coil clips or even elastic bands to further customize your planner to be as YOU*nique as you are!"